When I first heard that the Hunger Games was slated for a movie, my first thought was ‘oh no…’ I was fearful we would get another Twilight or worse, another Percy Jackson (Logan Lerman, as much as I love you, this movie hurt my feelings). That’s usually the slated fate for many book-to-movie franchises. They either change and cut out important things unnecessarily (in the case of Percy Jackson, completely changing the fate of future movies) or they choose the wrong actors (either bad ones, or ones that don’t align with their book appearances or traits). When I found out they choose Jennifer Lawrence to play Katniss, my initial reaction was, and I regret to say, she has blonde hair?? Nope, this movie gonna be horrible! She’s too old! I have to admit, that wasn’t exactly what I thought, I just didn’t like the choice for some reason. Maybe it was because I didn’t know the actress very well, have not heard of her very well. But as soon as I saw the pictures released in Entertainment Weekly I got excited and couldn’t care less what her hair colour was or how old she was. 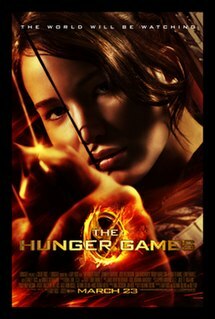 I was just hoping she would do justice to Katniss and that the movie would do justice to the book. It also helps that Lawrence herself is a huge fan of the books. I also got really excited when I found out Josh Hutcherson and Alexander Ludwig was going to be in the movie (as Peeta and Cato respectively). Hutcherson and Ludwig never get the roles they deserve, although Hutcherson is probably more well known than Ludwig, (Ludwig is also Canadian, which is another plus). I’m happy they are getting the publicity they deserve because they are awesome (and gorgeous *cough cough*). And I don’t even mind that Miley Cyrus’ BF, Liam Hemsworth, is playing Gale because I’ve never seen him in a movie, but he might surprise me as well (and it doesn’t hurt that his big brother, Chris Hemsworth, is Thor). I myself as being a big book-to-movie reader, I now try not to be picky when they make changes from book-to-movie. I understand that you can’t really fit all 300 pages or so of a book into a two-hour movie. I get that they want to keep it interesting, and they don’t have to follow it word for word, (keep a few worthy quotes in there though!) but it really frustrates me when they change it all, or cut out important characters or events and put in unnecessary details. Some people say people don’t want to see an exact representation of the book, but that is pretty much the case with the fans of it. For The Hunger Games specifically, I’m not worried. I’ve learned not to be picky. I have also learned that Collins, (the author), is a producer and a screenwriter for the film, so whatever decision she makes, I’m okay with. Unfortunately, Collins was unable to adapt the second film, Catching Fire, because of time restraints. The director of The Hunger Games, Gary Ross, however, signed on to direct the second film and since he was a screenwriter for the first, I’m sure he will get the second one right. Another batch of good news, Lawrence, Hutcherson and Hemsworth have signed on for the rest of the franchise, (which will include two parts for Mockingjay). Now that I have got my thoughts about the movie out of the way, I will start my actual ranting process. Now that The Hunger Games has gotten really popular, I fear that it will turn into another “Twilight” debacle. Let me explain; I read Twilight, I enjoyed it (although it was light fluff and not actually that good when I look back). It got really popular, as it’s popularity grew, so did it’s haters, who hated it because of its popularity (ie. former fans, now hating it because it turned popular), how horrible it was or just hated it because of the generalization that every fan of Twilight is obsessive and/or crazy. People say it caused for the ruin of the vampire genre, that now it is overused in popular media. Uh, Hello, guys? The vampire and/or supernatural genre has been around for a long time, way before Twilight was even dreamed of. I see this debacle in its early forms with The Hunger Games Series, which, in my opinion, is way better than Twilight. People are simply not liking it anymore just because of the rising popularity it deserves. The rising popularity of the actors that deserve recognition etc. Are we all turning into a bunch of hipsters? Really, it’s okay not to like something, but don’t like it for stupid reasons. It truly frustrates me. 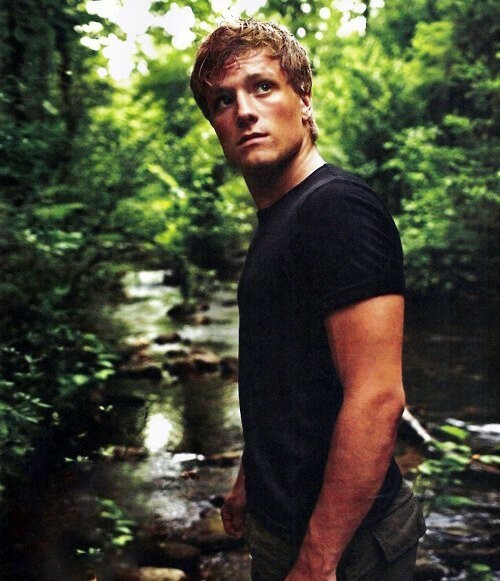 Another thing that has also spawned because of the debacle, ‘teams’ whether it be Team Peeta or Gale. No, just no. The same with the Vampire/Supernatural genre, this so-called “dystopian” genre has been around for ages. Everyone writes of the future, whether the book is good or bad, doesn’t mean it is The Hunger Games or Twilight’s fault for spawning horrible books or movies of that genre. Have some common sense. Be open to things that are ‘popular’, don’t knock it till you try it. Don’t be a hipster to things, ‘I read it or watched it before it was cool’ or ‘I don’t read it or watch it, it’s too mainstream’. If it’s not your thing, don’t be a douche to people who like it, it’s okay if you don’t like it, just don’t make life a living hell for people who do. Also, a note to Harry Potter fans (of which I am myself), we are not trying to overshadow Harry Potter in popularity and you are kind of selfish in saying that. Harry Potter will always lie in the hearts of everyone no matter what. You don’t need to choose sides. So, basically, what I’m trying to say, let’s be adults here.